I first saw Cinque Terre in an article in the Sunday Tasmanian when I was at university and I was blown away. Even the black and white dodgy newspaper photos showed me a place that looked stunning. The small towns perched precipitously in the cliffs, the perfect imperfections of the buildings – everything about the photos ensured Cinque Terre a place near the top of my bucket list. Fast forward a million years later and I have finally made it to this dramatic piece of coastline in Italy. Usually when I have looked forward to something for so long, the reality struggles to measure up. However, in this case the reality of Cinque Terre is far better that anything I could ever imagine. Nowhere has even been so beautiful to me as Cinque Terre. The setting, the colourful buildings, the so steep hills… it just all adds up to the most stunning place I have ever visited. It is not just me either. I knew it was a great place for us when 3 year old Z asked me on arrival how long we would be here and when I said three nights, he was upset. There is something magical about Cinque Terre. 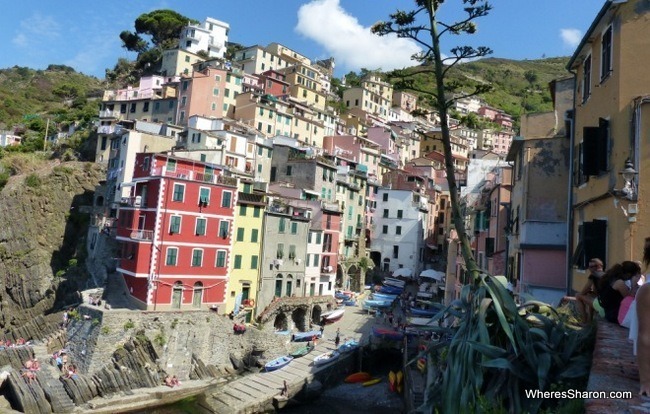 If you are wondering what to do in Cinque Terre, most activities revolve around the towns and the Cinque Terre walks. The first town if coming from La Spezia is the largest town of Riomaggiore. If you have seen a photo of a harbour in Cinque Terre, it was probably of this town. After getting off the train, we walked through a tunnel which took us to the centre of the action. Like all the towns, Riomaggiore is pretty and easy to walk around. It felt like there were two parts of Riomaggiore – the marina and the rest of the town. Both are beautiful and are worth exploring, but the marina views are one of the most popular Cinque Terre attractions and for good reason. It is just beautiful! Manarola is the second town from La Spezia and is another lovely place to explore. Manarola is especially scenic from afar. 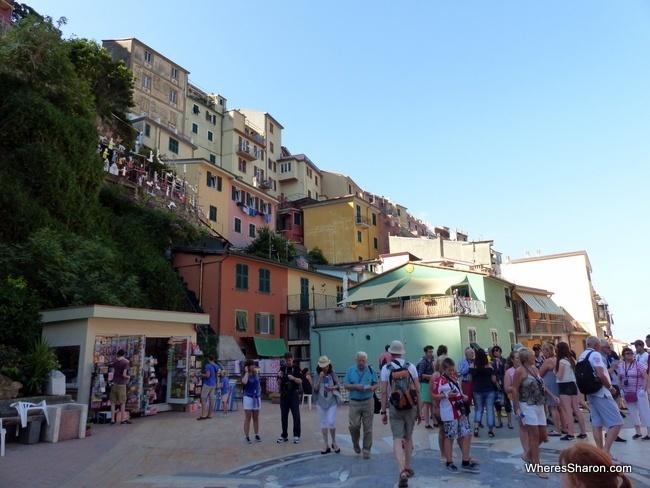 When we first arrived in Cinque Terre at Corniglia train station, we had great views of Manarola which took away all of the pain of the journey to Cinque Terre. Just so nice! 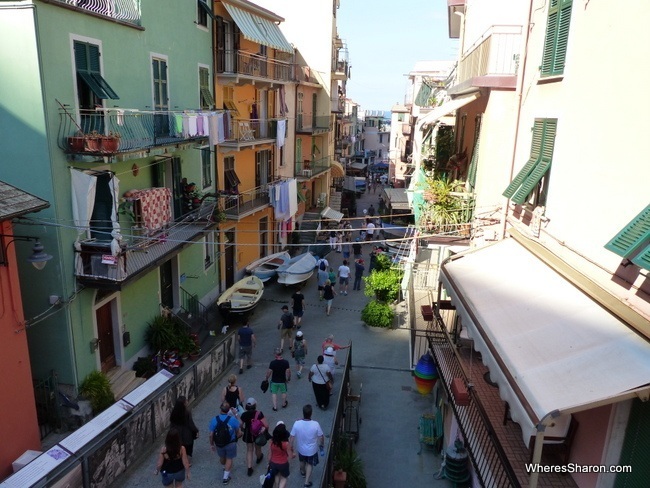 What we particular liked about Manarola was how easy it was to get away from the crowds. We had a great time here wandering around the alley ways and finding little view points. Corniglia is the middle town and is situated on top of a hill – this means that there are great views from Corniglia to the rest of Cinque Terre. It also means that you need to take a bus to reach here or climb up 365 stairs! We stayed in Corniglia so it is the town we know the best and particularly enjoyed. 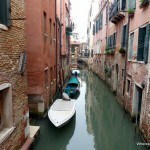 It is also the smallest and quietest town – although there is still a lovely buzz and atmosphere. Quiet is relative. The Cinque Terre things to do in Corniglia is to walk around and enjoy the small alleys ways, the tiny main square and walk around all the viewpoints you can find of the coast line and other towns – it is breath taking. Vernazza is my favourite town. For a start, it has the railway station right in the centre of town which makes life a lot easier. The main thing I loved about this town though was the harbour area and the absolutely beautiful views of the rest of the town from here. It is just stunning. There is also a tiny beach here. To me, Monterosso was the odd town out in Cinque Terre. The town is not as pretty, the main parts are far flatter and the central attraction was the beach. It felt more like touristy beach towns the world over than the rest of Cinque Terre. This means that I did not like it nearly as much as the others. It has more of a party atmosphere than the other towns. However, it does have many things going for it. Primarily, there is a beach. Even though it’s over crowded and as a spoilt Australian I would not have set foot on it if the kids had not been so interested, the fact is that the kids loved it. 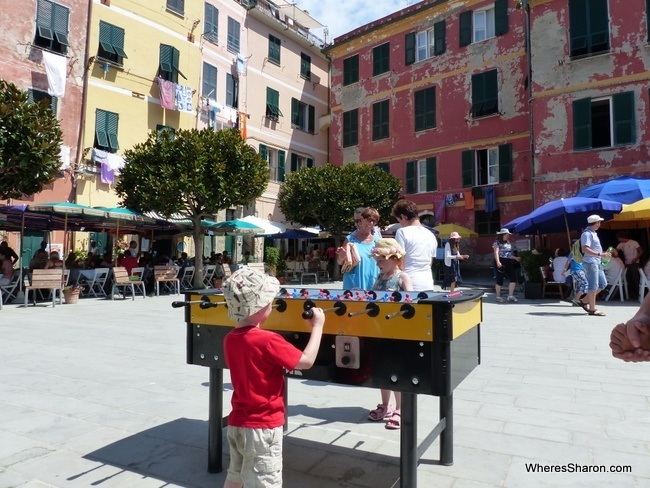 If you are visiting Cinque Terre with kids, this could be a great spot to base yourselves. Not only is there the beach, but I saw two playgrounds in central places and we did not see any anywhere else. We did visit this town last though. If I had visited it before all of the others, perhaps I would have found it more scenic and prettier than I did. I found in Cinque Terre that I became quite a view snob. There were many views that anywhere else in the world I would have found utterly amazing that I walked quickly through in Cinque Terre as they were second rate compared to the rest. The Cinque Terre walking trails are justifiably famous. In fact, our guide book basically says it is a disgrace to go to Cinque Terre and not take one of the Cinque Terre walking paths. There are a choice of walks to take you between the towns and surrounding country side both along the coast and further inland. 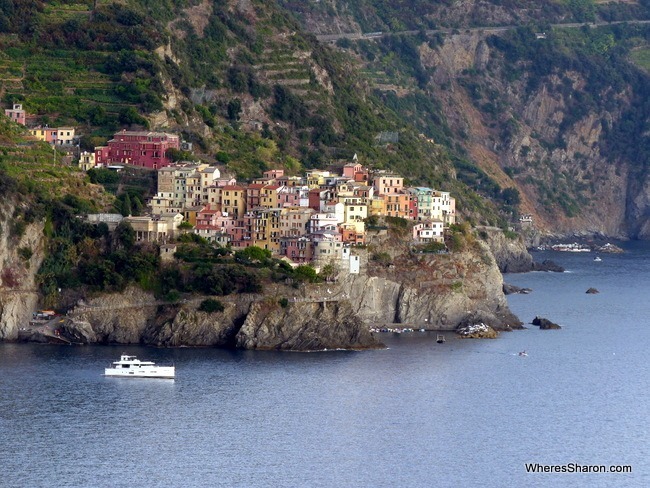 The scenery is beautiful and I imagine that walking in Cinque Terre could easily be a highlight of a stay here. However, I must confess that we were unable to do this. The walking within the towns was enough for our preschoolers’ legs. Can you spot J, S and Z? If you are visiting Cinque Terre in August, you are going to want to cool off and a dip in the sea is the perfect way to do this. Although the beaches weren’t to my liking, the water is a beautiful colour and is very inviting. There are many spots by the towns where people were swimming and sun bathing. In addition to the train, you can take boats between all the Cinque Terre towns apart from Corniglia. The best part about this – the views! There are also boats to hire, canoes and other water activities. Italian food is fabulous and Cinque Terre is no exception. We ate some excellent food here and good (and cheap) wine was plentiful. There are so many different scenic places to eat that it can be hard to pick a spot! Eating a meal and just soaking up the atmosphere of the town we were in was probably our favourite Cinque Terre thing to do. Oh gelato, how I love you! This deserves its own entry as it’s absolutely essential to eat lots of gelato in Cinque Terre. There are shops everywhere and it is the perfect way to have a break between exploring towns. You can read about some other, nearby towns here. 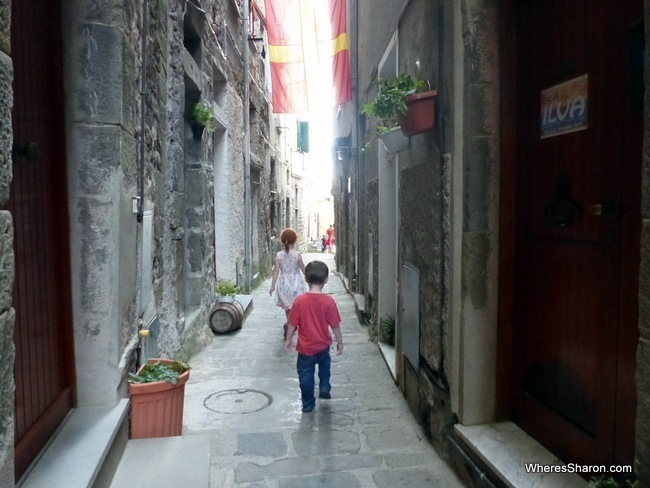 Given the emphasis on walking in Cinque Terre, you may wonder if it is worth visiting Cinque Terre with kids – it so is! Although I would have liked walking between the towns, I don’t really feel like I missed out on anything. Just hanging out in town in Cinque Terre is a magical experience. Other than all the steps (which thankfully our kids are used to), there is no reason for kids not to love Cinque Terre either. 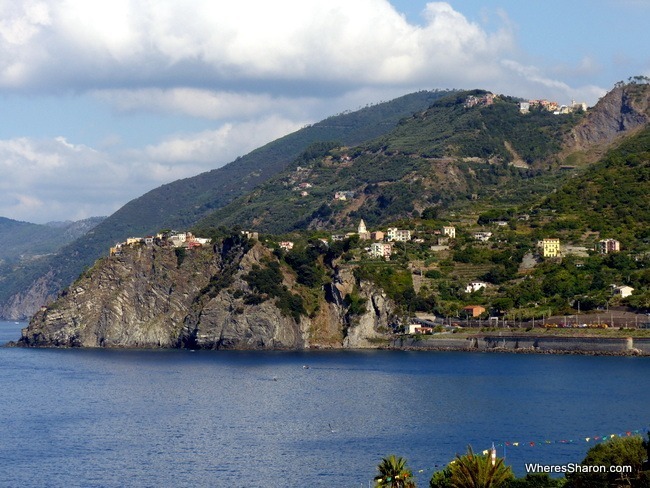 It’s fun to explore and the best things to do in Cinque Terre for kids probably centre around Monterosso. Its playgrounds and beaches are sure to keep kids happy. Other towns had swimming areas as well. We also are finding Italy to be very kid friendly – it’s nice to be somewhere where kids seem to be embraced again, like we are used to in Asia. Our kids get lots of positive attention and people are very good at helping out and ensuring we get seats on transport. 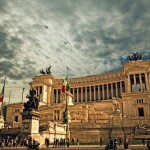 Even when we are in crowds to hop on trains and buses, the Italians tend to let us on first. I really appreciate these little things. Even if your kids don’t appreciate Cinque Terre for the views, there is one thing they are sure to love – the gelato! This is guaranteed to solve any kid problem and to keep them on their best behaviour! The Cinque Terre card covers access to the walking trails and buses within Cinque Terre. You can also pay a bit more to have trains included too which is what we did. It’s also supposed to cover wifi but I was never able to connect to any. You can see more information and the latest prices here. If you are planning to visit in August, like us, you need to book well in advance. 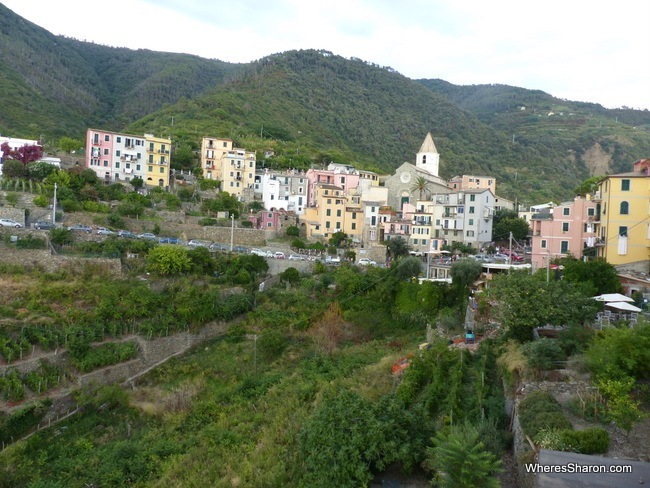 If you are wondering which town to base yourselves, then we did really enjoy Corniglia and found it a cheaper option. However, Corniglia does have the down side of being a steep walk or bus ride from the station and buses stop by 8pm at night. If I wasn’t with young kids and wanted to visit different towns in the evening, I would stay somewhere else. 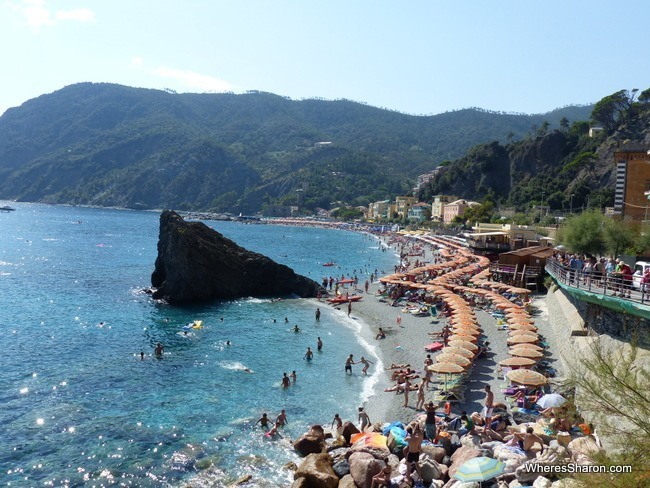 Monterosso would be personally my bottom pick unless you want the beach town atmosphere. However, this could be a great choice with little kids and if I was staying in Cinque Terre longer than a few days, I would probably stay here because of the playgrounds and beach. 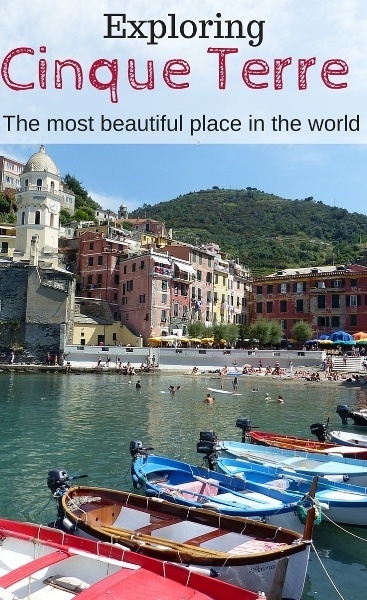 Otherwise, my top pick would be Vernazza. I thought it was the best looking one and the train station is right in the centre of town. 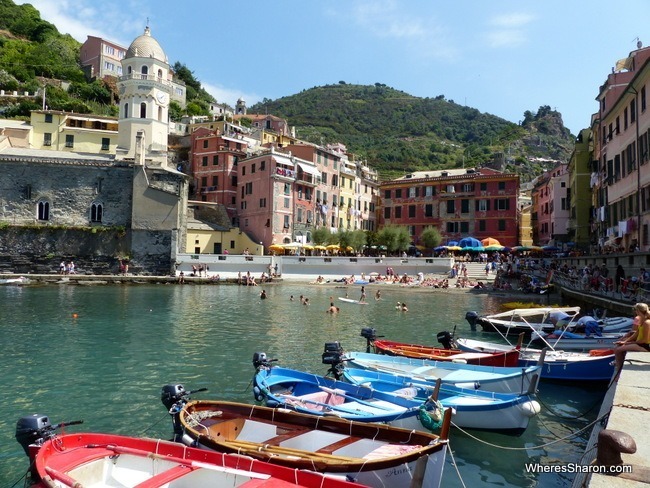 Here’s some recommended places to stay that receive rave reviews although keep in mind that Cinque Terre is an expensive area and most of these options are quite simple (but have the price tag of a top hotel elsewhere!). I recommend using HotelsCombined to quickly find the best accommodation deals – they will tell you which hotel booking site has the hotel listed for the cheapest price. Hotel Villa Argentina Riomaggiore – a hotel option in the lovely town of Riomaggiore which has apartments for up to 4 people and hotel extras like minibar and cable TV. Click here to see the latest prices. Rooms La Torre, Vernazza – this option has comfortable rooms and apartments with sea views in a very handy location in my favourite town, Vernazza. Click here for the latest prices. Locanda a Ca du Gigante, Monterosso – a well regarded bed and breakfast with 6 rooms for 2-4 people in the beachside Monterosso. Click here to see the latest prices. Affittacamere Le Terrazze, Corniglia – a highly rated accommodation option in Corniglia with room options varying from double rooms to apartments with kitchenette and sofa beds (so good choice if travelling with kids). Rooms come with private bathrooms and balcony. Click here for the latest prices. We stayed in an Airbnb apartment which was the best deal we could find at the time, although still one of the most expensive places we have stayed. If you haven’t signed up for Airbnb yet, please use this link which will give us both US$20 off our next stays. 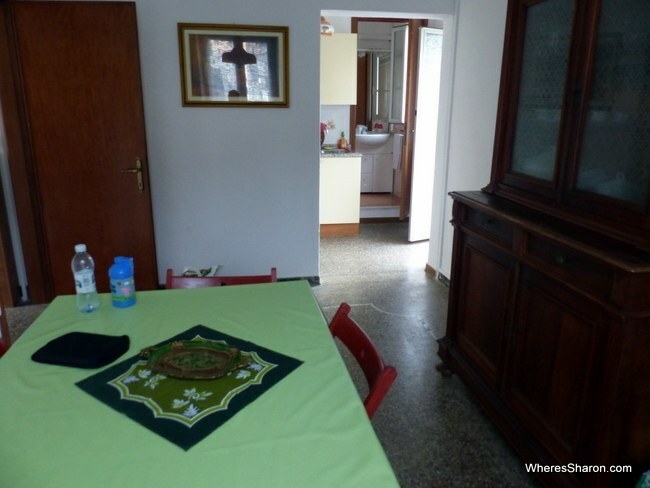 You can then check out our apartment in Corniglia. It was great and came with two bedrooms, a dining room, full kitchen, bathroom and the best part – a fantastic balcony with excellent views. My biggest gripe is no internet. We came to Cinque Terre from Pisa airport after our stay in Paris and it was super easy to get to Cinque Terre from here. There are generally three steps in the journey though unless you get lucky enough to get a direct train from Pisa. 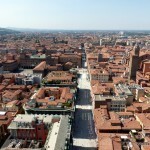 First, you need to catch a bus to Pisa Centrale. These run often and are quick and easy. Next is a train from Pisa Centrale to La Spezia (although there is the occasional train which goes onto Cinque Terre) then another train into Cinque Terre. It took us about three hours from landing to be in Corniglia. 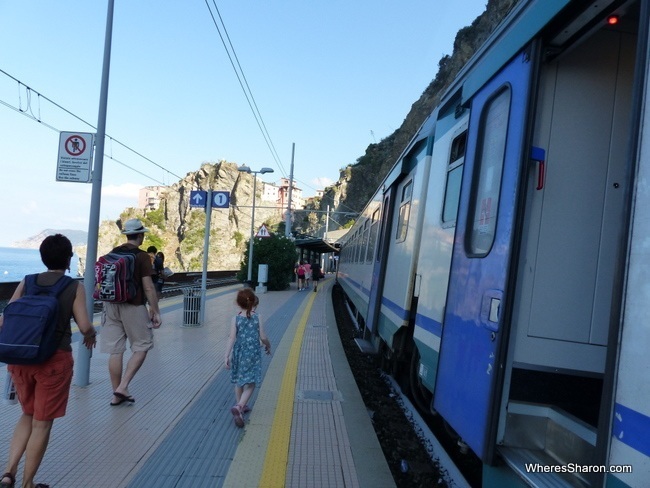 It is very easy to get around Cinque Terre thanks to the train line. There are regular trains going between all five towns but it is a good idea to get a timetable as there can be an hour between trains at times. The trains were usually late for us. 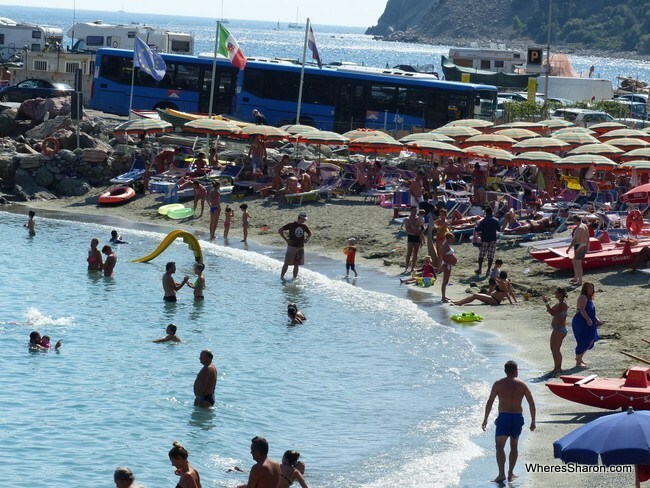 There are also buses in some towns – you will want to consider getting a bus from Corniglia train station into town. If you do this, buy the tickets from one of the shops near the bus stations. This only costs to 1.50 Euros compared to 2.50 Euros on board the bus. There was no way we were ever going to keep to our usual budget in Cinque Terre as our accommodation cost more that our daily budget! We averaged 210 Euros a day which I think is a total bargain. We wanted to just enjoy so we didn’t think about costs much for once. We ate out at meal times, we had at least one lot of gelato a day, we enjoyed the local wine and there was the cost of the Cinque Terre cards. We were also only in Cinque Terre for three days which means there wasn’t time to have low cost days where we didn’t do much like we usually have. This is one of my favourite places ever and I really hope that this article convinces others to go too. 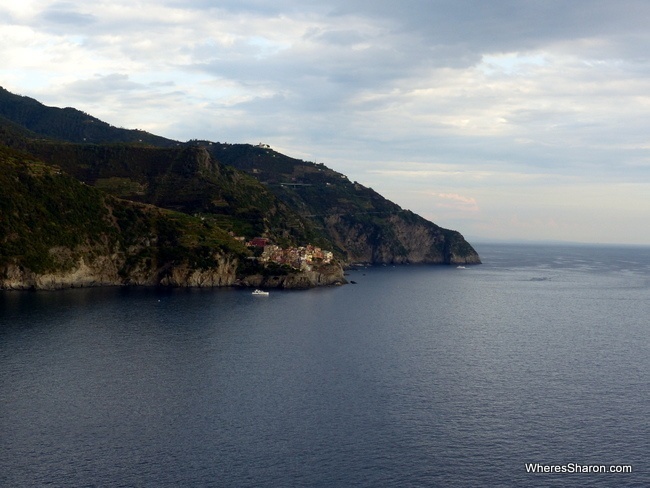 Before we arrived in Cinque Terre, I must admit that travelling in Europe was losing a bit of its shine. I was missing our home in Penang and ready to get back. We have been in Europe over two months now and it gets hard to be travelling with little kids for that long. Cinque Terre has been the perfect medicine. I am so excited to be travelling in Europe again and I can’t wait to see more of Italy and for our onward journey to Slovenia and my other big bucket list item, Croatia. I also think it is a very romantic destination. We have come from Paris, the supposed city of love, but I would rank Cinque Terre well above Paris in the romance stakes. We visited in the middle of August so obviously a super popular time. However, it was still crazy easy to escape the crowds. Basically walking in any direction off the main “street” in the towns will allow you some alone time to soak in everything without the hustle and bustle. Cinque Terre is a beautiful, magical place that should be on everyone’s bucket list. I have no doubt I will be back again one day. 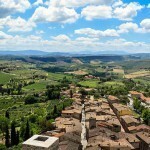 You can also read about our adventures in Tuscany. 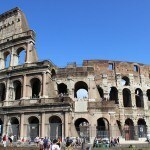 Our full Italian itinerary and information is here. Is Cinque Terre on your bucket list? Sharon, I am pleased to see that you loved Cinque Terra. I have visited twice now, once as a solo backpacker in full winter (surprisingly no tourists around apart from me…) and on that occasion I stayed in Corniglia (bad step memories) and did the walk from Corniglia to Vernazza in the fog and rain, and then I caught the train to check out some of the other villages. I loved visiting but definitely planned to return. I am jealous you have been twice! Did you still find it worthwhile in winter? I look forward to just returning with J next time. It is such a romantic place. The Cinque Terre was also on my bucket list for a long time and I visited in June this year. It definitely lived up to all expectations! 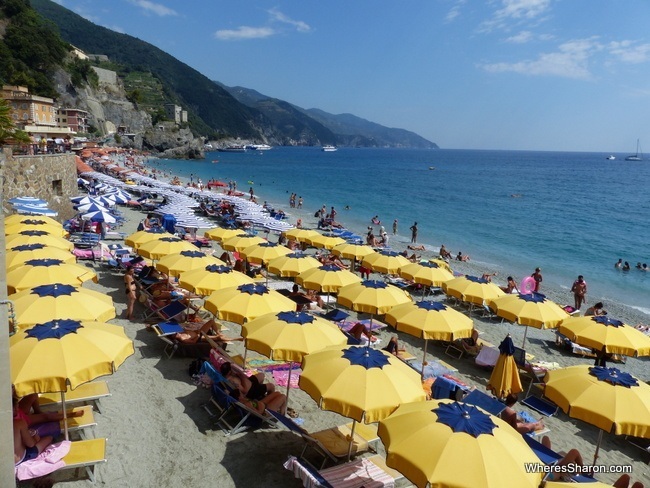 We stayed at Levanto (one town past Monterosso) and found it to be a good base, and isn’t it funny, we visited Riomaggiore last and it was my least favourite! As we weren’t travelling with kids we did do the two walks that were open and the were amazing. You’ll have to return one day to walk those paths. The real highlight – and an unexpected surprise – for us was a visit to Portofino. It’s not one of the Cinque Terre villages but it just as spectacular and we probably enjoyed it more than the 5 villages. Thanks for your thoughts! And thanks for giving me another town for the bucket list grrrr ;D I hope to go back one day with just me and J. I am sure that will give us a whole new appreciation! Loved the post. I kept thinking I would love to explore via boat, and then you mentioned it. The second thing was about getting a gelato. 🙂 One day I would love to explore this beautiful area. Thanks for the great pictures. I was there last month and it truly was beautiful! It was low season so it was quite quiet and lots of shops were closed. So very interesting to see your photos and see how lively it is in the warmer months! Hi Sharon. I love your reviews of Italy. Especially your views on driving. I’m planning on going thus coming June with my three kids and would really love to drive but the driving on the right side is making me soo nervous. However your post has put my mind more at ease?.